HinKhoj Dictionary is free online Hindi to English and English to Hindi Dictionary and translation service. Best and most easy to use dictionary available on internet. Kumar is a Product Manager, passionate about technology and innovation. Having a background of management and IT, he also loves to lead people with his easy going interaction. Loves travelling, reading and sports which make him upto date always. Having experience as an Android UI developer, my mind is always fill with the ideas of making things realistically beautiful as well as functional. My aim is clear and straight just like my codes to make things beautiful. Hi, I am Prity, very passionate for every creative activities. As a Designer, I love to create such things that people love. That is my primary goal. I am a Software tester and I love finding bugs whether it is in the life or in software. Finding an obscure bug gives me a great thrill. I am a challenger, always challenges myself to find error for any new product till it reaches the level of perfectness. Being in teaching field almost for 10 years, I love teaching whether it is in the classroom or online. Teaching for me is not only a profession but a passion. Reading and listening music give me immense pleasure. I am Mohit Chaurasia, work as a content writer. I love to contribute content in India's largest online dictionary. My hobby is reading, I love to read story books, newspaper and biography. Mousami taken initial education in rural rajasthan. She was always interested in solving language problem for students coming from rural background. Mousami was instrumental in idea of Hinkhoj and contributed in initial products designs. 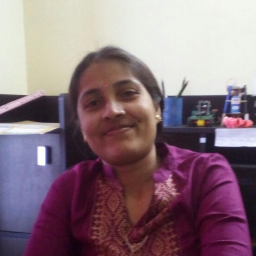 Now she helps in hiring and general people management for Hinkhoj. 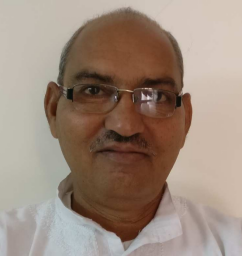 Bharat Lal have his educational roots in rural hindi medium schools and colleges in Rajasthan and then gathered rich experience in communication and correspondence in hindi language while he worked in central government. He is connected to the needs of hindi medium students like no one else. At Hinkhoj, he helps us keep track of our vision, supervise content and handles general management.